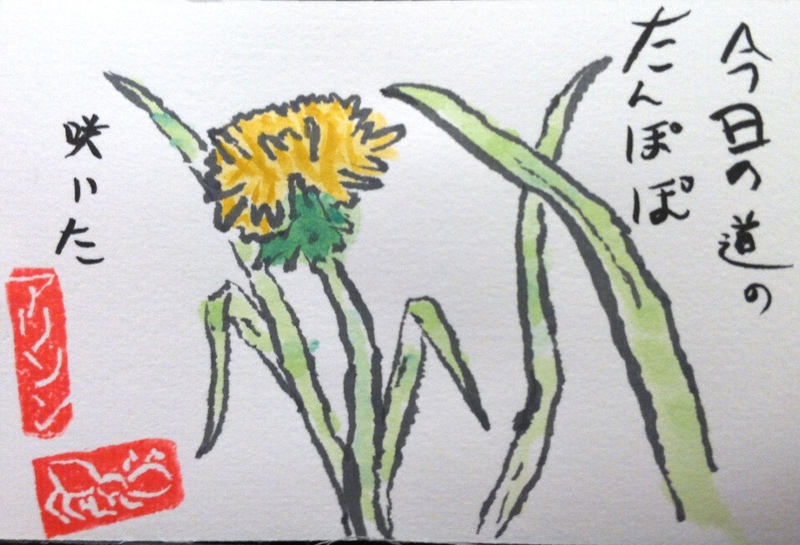 My literary inspiration: a Santoku poem, “A dandelion bloomed on the road today.” Another etegami painter, Shungo Asada, shared it with me recently. My visual inspiration: Norwegian dandelions from a photo I took on a hike around the Sognefjord. The top etegami is on a high-bleed postcard. The second one is on a low-bleed postcard. 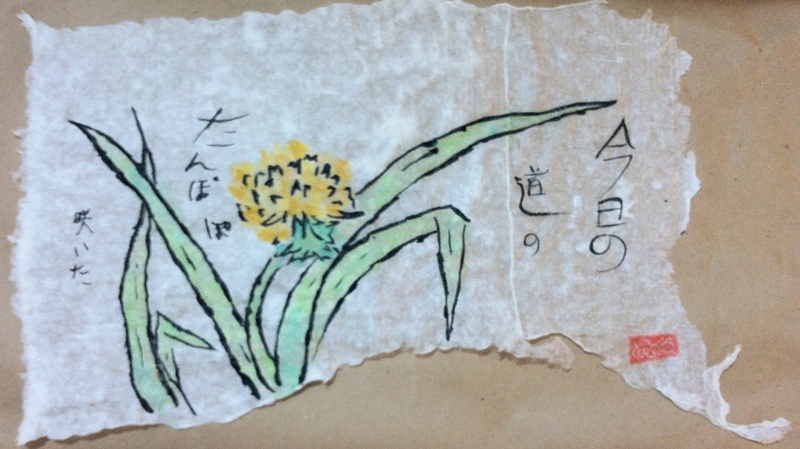 And the last one is a large piece done on handmade Japanese paper, which I made at a workshop at the Pyramid Atlantic Art Center in Silver Spring, MD. The rough edges of the paper are evidence of my novice status as a paper maker. Most of my later paper from that workshop came out in full rectangular sheets. I mounted it on wood, added some veneer, and gave it to my mom.